Scientists say that a warming planet means rising oceans and more extreme weather, and they point to Hurricane Harvey as an example of a record-breaking natural disaster that was likely worsened by climate change. While it’s too late for humans to undo the warming of the planet, local governments and corporations can at least take smaller, more practical steps to account for increasingly intense weather. Unfortunately, even attempts to account for extreme weather at a smaller scale are countered by short-term financial interests and resistant local governments, as Hurricane Harvey has shown. Houston is the largest American city to eschew the type of zoning laws that normally keep high-rise buildings, suburban-style houses, strip malls, and industrial warehouses away from each other at a somewhat safe distance. It’s no secret that sprawling, unfettered development is an important part of Houston’s character. But as the city government and developers have sunk more money into turning undeveloped land into concrete, watchdogs said that little attention was being paid to the basic physics. In an already flood-prone city, replacing prairie land and other permeable landscape with concrete sprawl is all but guaranteed to worsen flooding. To offset flooding, developers are supposed include underwater basins or draining ponds with each project. But developers have often ignored laws requiring them to do so. Houston taxpayers have unknowingly helped pay for many of the developments that helped contribute to flooding, according to a report published by the the left-leaning nonprofit group Texas Organizing Project. The organization, in a report published in July, examined the Houston city government’s use of generous tax incentives to bring more development to the city. The report said that the process lacked transparency and that builders did not use their tax incentives to address flood risks. A nonprofit neighborhood group aptly called Residents Against Flooding has repeatedly fought Houston and one of the city’s so-called Tax Increment Reinvestment Zones, essentially an area where developers are promised tax incentives to build. The tax zone that had come into the Resident Against Flooding group’s crosshairs, called TIRZ 17, is located in Memorial City, a district on the western side of Houston. In federal lawsuits filed in 2009 and again in May 2016, the neighborhood group demanded that Houston stop issuing permits for large projects in TIRZ 17 until officials could prove with a study that none of the new projects would worsen flooding. Since the establishment of TIRZ 17 in 1999, Memorial City homes have repeatedly flooded as a direct result of developers’ failure to account for storms, the group said. Residents Against Flooding filed a lawsuit against the city of Houston and TIRZ 17 in 2009 but dropped their case amid a devastating drought. They got back to work recently after a 2015 storm flooded homes in Memorial City and other parts of Houston. “Many Houston residents live in fear of rain. Their homes have flooded so dramatically that each rain shower prompts visceral alarm,” the Residents Against Flooding said in their 2016 federal lawsuit. A federal judge dismissed their case on technical grounds several months ago. Memorial City was flooded once again last week after the Army Corps of Engineers had to make an emergency release from two strained reservoirs. Galveston Island, a tourism-driven island city fifty miles southwest of Houston, has seen some of the country’s worst hurricanes in recorded history. Galveston Island is also the unlikely home to a laboratory that studies biological weapons and the world's most infectious diseases. “This hospital is going to be the Texas center for bioshield research,” former Congressman Tom Delay said in 2005, when construction on the lab broke ground. The Galveston National Laboratory, rated as a Biosafety Level 4 lab because of the extensive measures in place to prevent the spread of Ebola, the bubonic plague, and other infections studied within its walls, opened three years later with high-level political support and funding from the National Institutes of Health. A statement posted on the Galveston National Laboratory’s website last week adds that the lab “was built to withstand hurricane conditions and has emergency procedures in place” at all times. "At no time was there cause of concern for the safety and security of GNL personnel, the research or the community." But even those statements do not address fundamental concerns raised in a critical 2008 New York Times story about the lab, namely, why even build a Biosafety Level 4 lab in a hurricane-prone area in the first place? The Times had interviewed environmentalists, a former Galveston city council member, and a prominent attorney who all felt that Galveston was a risky and unsafe location to study biological weapons. “It’s crazy, in my mind,” Houston environmental attorney Jim Blackburn told the paper. Among those who were publicly critical of the Galveston National Laboratory from the start was Dr. Francis Boyle, a University of Illinois law professor, human rights attorney, author, and a bioweapons expert and critic who drafted the Biological Weapons Anti-Terrorism Act of 1989. Despite the Galveston National Laboratory's recent assurances that the lab is doing fine, Boyle remains unconvinced. Lab director Dr. James LeDuc, a medical scientist who had held high-level research positions in the United States Army, the World Health Organization and the Centers for Disease Cotrol and Prevention, disputes the characterization of his lab as a "biowarfare facility." "Some of the same pathogens that are a risk to global public health are also of concern as potential bioterrorism threats or have been used historically as biological weapons," LeDuc writes to ConsumerAffairs. "We recognize this fact and it is for this reason that we have a robust security force on site with armed guards present 24 hours per day, every day, including during hurricanes." He adds that he kept regular communication with the Department of Health and Human Services and other federal agencies prior to and during the hurricane. "In each of these discussions I reassured senior government officials that the GNL was well prepared for the storm, that we had suffered no damage, that we had not lost power and that our security forces were in place and on duty as normal. All safety and security programs were operating as normal and there was no interruption of service due to the hurricane." The deadly explosion of a fertilizer plant in West, Texas in 2013 exposed the secrecy surrounding the stockpile of explosive and toxic chemicals in the country's borders. Even first responders and emergency crews in rural areas had been given little information about the storage of lethal, potentially explosive chemicals in their own towns, as reports published after the West explosion revealed. Companies that work with or produce toxic chemicals have argued that alerting the public to this information creates a national security risk. After the West tragedy, the Obama administration proposed new rules to alert the public and first responders about any potentially dangerous chemical storage facilities in their area. The rules, among other reforms, were supposed to require companies to make public, in a user-friendly format, what type of chemicals they hold at their plants and their specific plan in the event of a worst case scenario. But Texas was among 11 states that refused to implement the changes and the Trump administration later halted the rules. 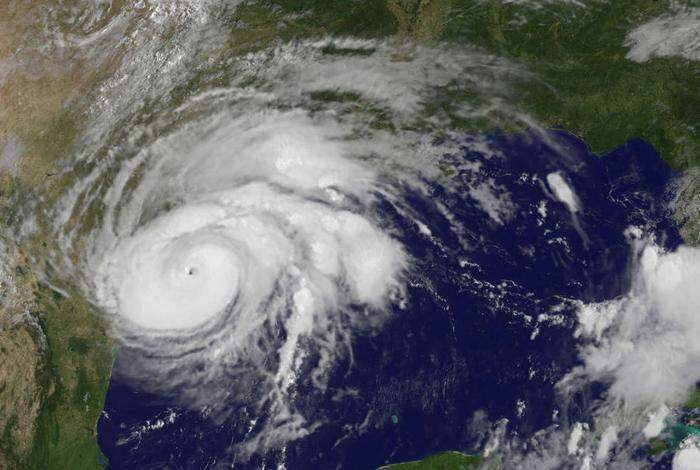 Last week the French chemical corporation Arkema, which has a plant in Crosby, Texas, warned that an explosion was likely imminent due to Hurricane Harvey. Nearby residents were evacuated on Thursday as fires broke out. A smoky plume sent the sheriff’s deputies who were assisting people to the hospital. FEMA director Brock Long said that the chemicals that sent the deputies to the hospital were incredibly dangerous, while the Harris County Sheriff's Office claimed that they were non-toxic. Pressed by reporters, Arkema executive Richard Rennard would not say who was correct. "Toxicity is a relative thing," Rennard told the media. He also publicly apologized. "I want to apologize for the impact this is having on the local community," he said. But he refused to specify what exactly those potentially toxic smoke plumes were composed of. A neighborhood on the east side of Houston called Manchester is among the several impoverished residential neighborhoods that has repeatedly paid a price for being located at the doorstep of the world’s energy capital. But this would hardly be the first time that residents of a neighborhood uncomfortably close to the city’s 400-plus refineries would be exposed to carcinogens. Residents of poor, polluted neighborhoods in Houston and researchers have for years complained about unacceptable levels of pollution in places where people live, even though the energy sector is the backbone of Houston’s economy. The damage that Hurricane Harvey caused to Houston refineries brings the world’s fraught relationship with oil full circle. Reports filed to the state show that an estimated 2 million pounds of pollutants have been released from refineries as a result of Hurricane Harvey. And some of the major Superfund sites in Houston, polluted with petrochemicals and other contaminants from refineries, are proving to be unsustainable. Associated Press reporters surveyed seven Superfund sites in Houston and found that all had been flooded. The Environmental Protection Agency did not have an official on the ground when the AP published its initial story surveying the damage. In a defensive statement afterward, the agency responded that they were monitoring the situation aerially. "Superfund sites are known to be the most dangerous places in the country, and they should have been properly protected against flooding," a researcher with the advocacy group TexasPIRG said. The group had long been critical of the state's handling of Superfund sites.